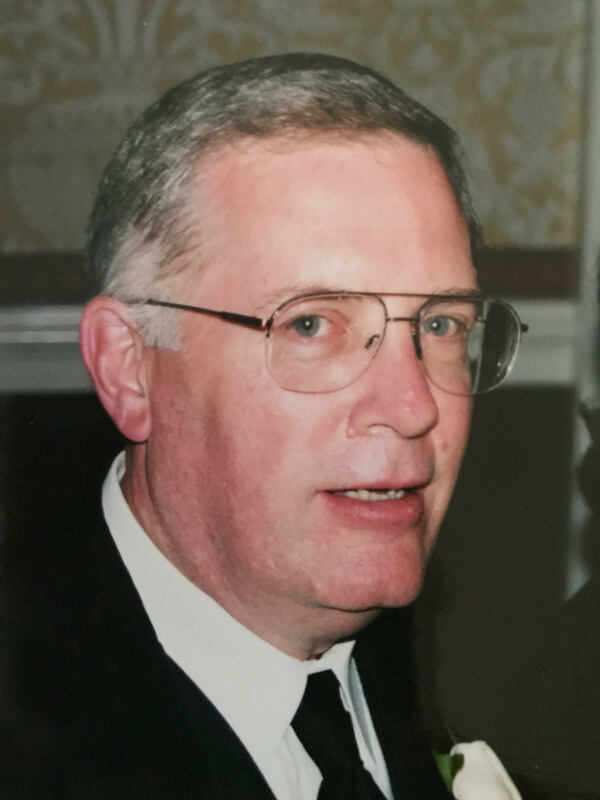 On Thursday, October 25, 2018, Joseph Dean Webster, of Blacklick, Ohio, a loving husband, father and grandfather, passed away at the age of 68 at Mount Carmel East Hospital in Columbus, Ohio. Joe was born on May 19, 1950 in Bradford, to the late Francis and Florence (Jones) Webster. In 1968 he graduated from Bradford Area High School. He then served in the United States Air Force from 1968-1972 as an Administration Specialist. On May 20, 1972, he married Deborah Annette (McAdams) Webster who survives. He received his degree in Petroleum Engineering from the University of Pittsburgh Bradford in 1978. Joe was employed at Zippo Manufacturing and Witco Chemical in Bradford in the earlier part of his career. He had a number of career changes after working in the petroleum industry. He was most proud serving in security at the Department of Homeland Security (TSA) the last 17 years at John Glenn Airport in Columbus, Ohio. Joe had a passion for cooking. He also loved to read, garden, journal the daily weather and study the Bible. His faith in Jesus Christ was the foundation of his life. His greatest joy was being with his family. He was a loyal and faithful husband to Debbie for 47 years. Joe loved his sons and grandchildren with all his heart. He was a wonderful Poppy and dearly loved. Joe was known as a gentleman with a quiet and sweet spirit of kindness and compassion. He is survived by his wife Deborah, his two sons, Brian Matthew Webster of Willliamsport and Derek Scott (Margaret) Webster of Indianapolis, IN, his 6 grandchildren, Liam Matthew Webster, Tekla Mary Webster, Ronan Francis Webster, Elizabeth Grace Webster, John Derek Salladay Webster, and Scarlett Louise Webster, two brothers, James (Sue) Webster of Sewell, NJ and Stephen (Polly) Webster of Kansas City, MO along with 10 nieces and nephews. Family will be receiving friends on Friday, November 2, 2018 from 6:00-8:00pm in the Hollenbeck-Cahill Funeral Homes, Inc. 33 South Ave Bradford, where celebration of life and committal services will be held at 10:00am Saturday with John Salladay officiating. Full Military Honors and burial will be in Oak Hill Cemetery. Joanne and I send you our love and prayers. Joe was such a kind soul and will be missed. Joe was my guy for over 10 years.. I recently left TSA and Joe was one of the first to congratulate me for “getting out” lol. I had many conversations with Joe about many things. One thing I know about Joe is that he loved his family. This is still a shock to me, so I can only imagine how the family feels. I will continue to pray for you all and will never forget my guy Joe. Work with Joe when TSA Started. He will be missed. Love and prayers to the family. Joe will be missed!!! I worked with Joe for 16 years at DHS and he always had a smile on his face and had a wonderful heart. My thoughts and Prayers to Joe and all of his family and friends. Loved working with Joe with the TSA, someone you always wanted to have on your team. You will be missed. My condolences may you all be Blessed! I worked with Joe often during my 8 years with TSA. He spoke highly of his family, always had a life lesson to share, and would lend an ear to anyone in need. Rest easy Joe. My thoughts and prayers for the family. It was a true honor to protect the Homeland at DHS with Joe. It was more honorable getting to know Joe the man. Joe loved and cared about his work and always wanted it done right. He always spoke highly of his wife and his love for her. Joe strengthened and encouraged me often when I shared personal battles with him. He will be truly missed on this side of eternity! Rest easy my brother, and save me a spot at the table! Debby, I''m so sorry for your loss. Joe was a friend that I always remember from grade school at West Branch. He will be missed. Joe was a great friend and co worker. It already seems empty without seeing his face and kind smile.Rest in peace my friend. Prayers to his family. Joe always had a smile and a kind word every time I was around him. He will be greatly missed by his entire TSA family. Rest well Sir. It was always a pleasure working with Joe. Prayers for his family. Rest well ?? Joe was a wonderful hard working man and I will miss his humor and inspirational talks. Joe was a good friend, kind man and valued co-worker. Always quick with a smile and kind word, he will be greatly missed. Joseppi...my friend, rest in heaven. Scott and I are thinking of your family during this time of loss. Derek - our sincere condolences to you and your entire family. Your family is in our thoughts and prayers during this difficult time. Joe was a great friend and coworker. A hard working and dedicated man, to his family, friends and country. My heart is with his family during this time. My family and I hold you in our prayers.